In love with vintage fashion? You’re in luck. Vintage is the trend back in mode for 2019, and we have a wide variety of items for you to choose from. Whether it’s a polished, sophisticated look or an edgy, eye-catching outfit, we’ve got it all. Here at the Vintage Wholesale Company we provide you with a variety of ways to find your vintage treasures. Whether it’s Buy Per Kilo or Bulk Buying we can ensure you receive some top quality, staple pieces. 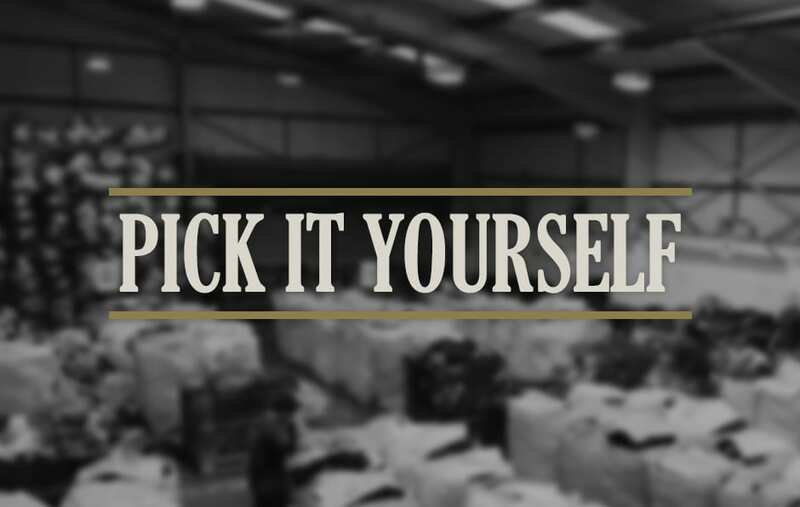 With numerous ways to buy, one of our favourites is the ‘Pick It Yourself’ option. This way you can selectively choose your own pieces of clothing, whether that’s men’s or women’s, from our large collection of different products available. You can trust that we provide quality products as we stock clothing from all around the world, this way we can deliver only the very best vintage to you. We track current trends and receive bulk deliveries every 4 to 6 weeks so our items are fresh & up to date. Our minimum spend is £300 plus VAT, this way you can receive a real taste of vintage style to show off this summer. We stock some of the best pieces available, so the more items the better, right? You can even request a weekend appointment; however, the minimum spend is raised to £400 plus VAT. With summer only a couple of months away, ensure you get the best pick of the bunch and show off your unique, one of a kind outfits with our exclusive ‘Pick It Yourself’ range. The best way to look stylish on a budget, is to try buying second hand, bargain & vintage, all of which we can accommodate for. For more information on our ‘Pick It Yourself’ option or any of our other services, feel free to browse through our website or call a member of the team on 01482 216 862.